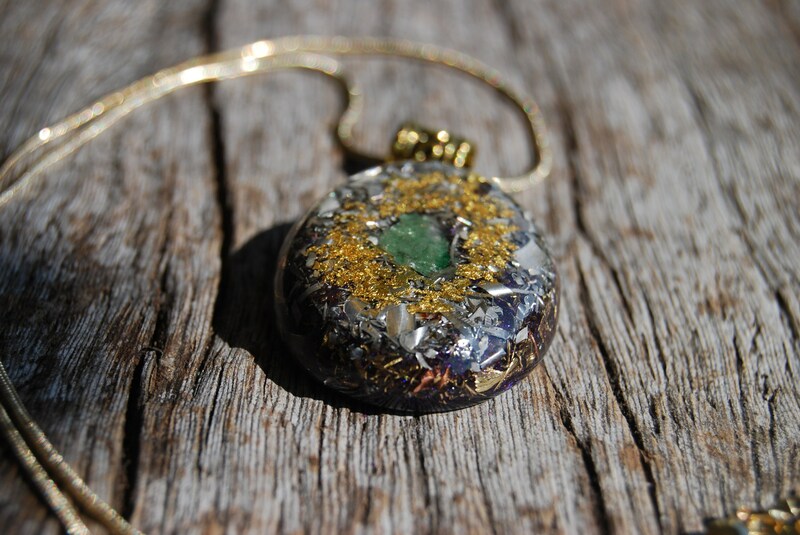 This lovely Orgonite® pendant contains aluminium, bronze, brass, copper shavings and 24K leaf Gold. 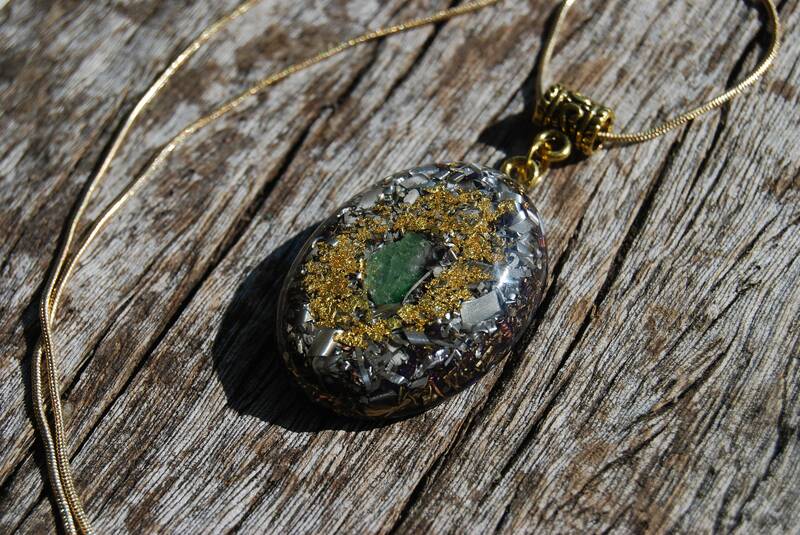 It contains a lovely green Tsavorite in the middle of the pendant. 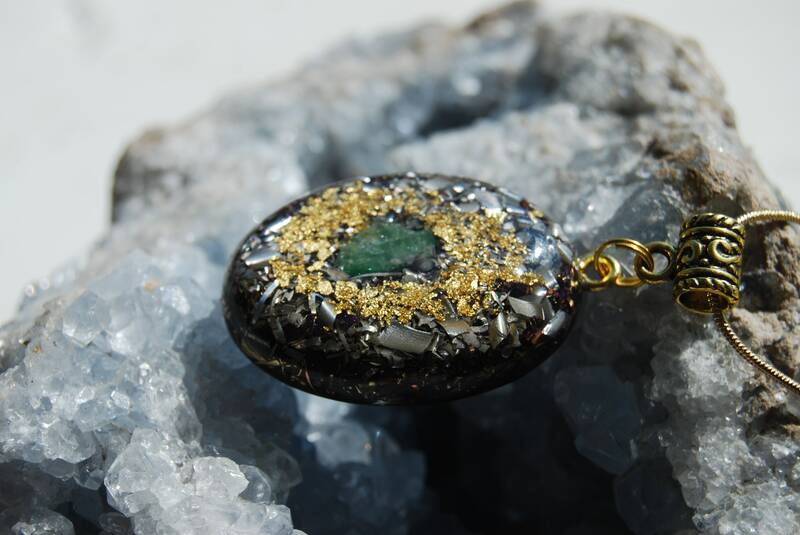 It furthermore contains Pyrite (to enhance), black Tourmaline (to protect and ground excess energy), Rhodizite (to amplify), Selenite (to clean and charge other crystals), clear quartz (for piezo electric effect) all within a durable resin setting. The stone of benevolence, vitality, prosperity, vigour, and compassion, Tsavorite is the gemstone of the Grossular Garnet family. 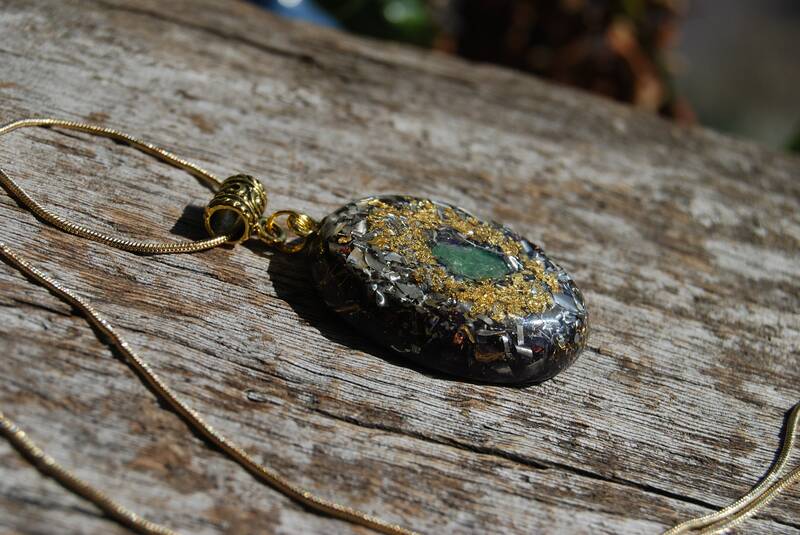 Tsavorite is the stone that helps the person in discovering the beauty within himself and in others. It helps the wearer to make and maintain his own destiny rather than struggling and running after those things which are truly not theirs. 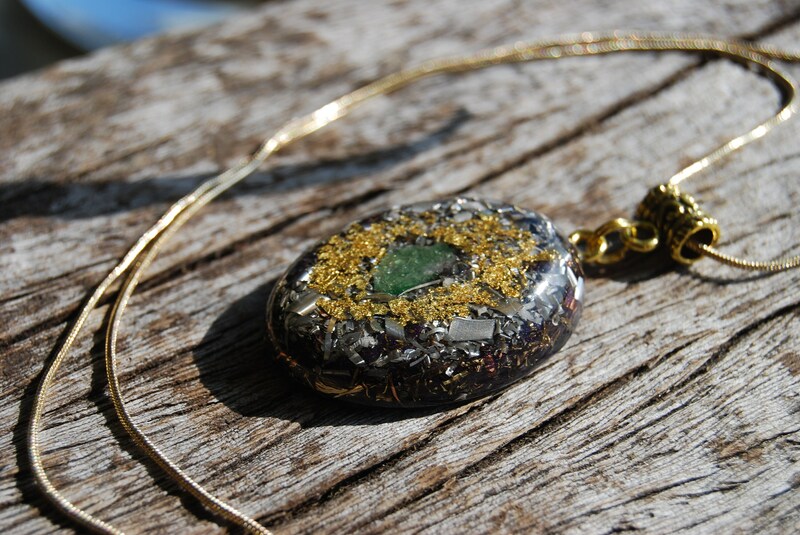 It works with the Pure Green Ray and can aid in opening up the heart chakra. 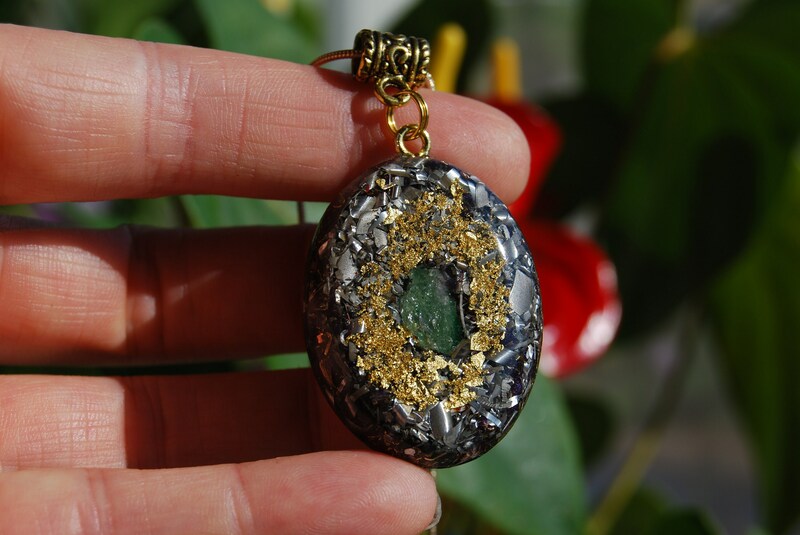 Tsavorite is a perfect stone for the tired and depressed since it can cleanse the heart chakra and aid in bringing a new zest for life. It helps in manifesting the desires of the heart and also inspires charity and benevolence in their truest and purest forms. The message of this stone is “know thyself”. This stone helps in understanding our innermost desires and helps in the realization that we alone are the makers of our destiny. 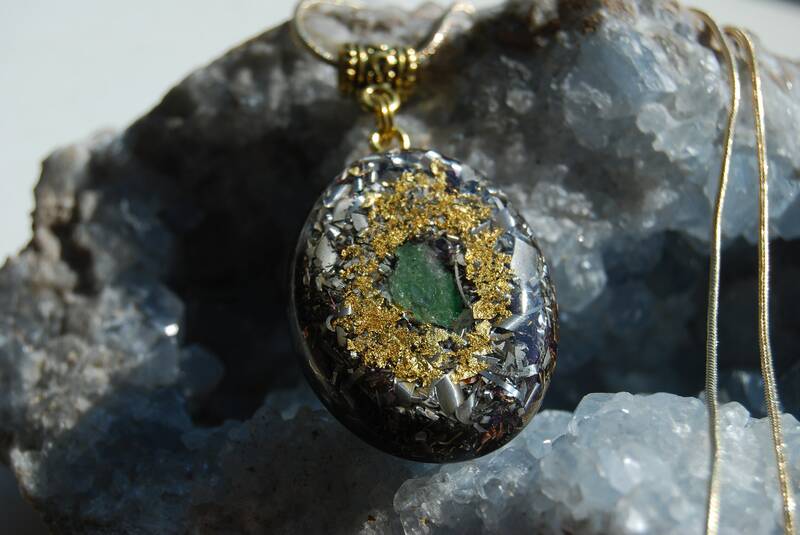 Tsavorite can aid in connecting with the higher planes and the spirit world. It aids in channeling and receiving visions. 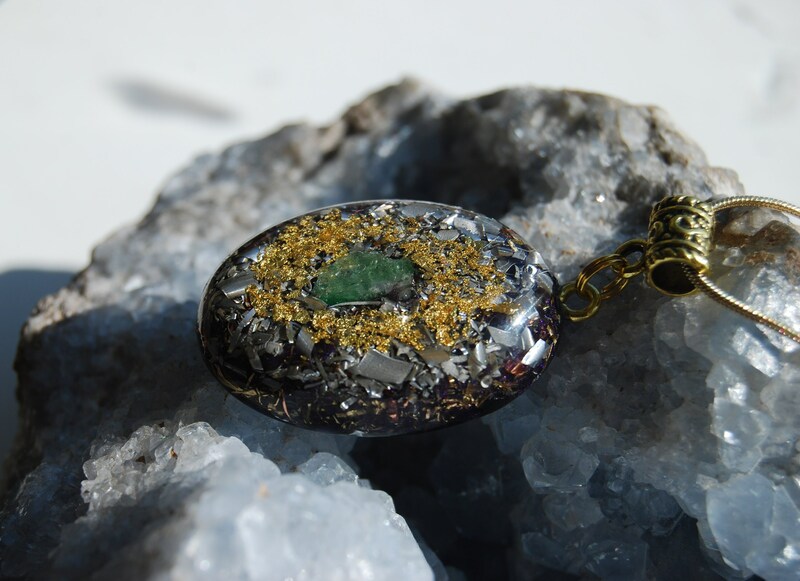 This stone aids in a connection through sensitivity rather than physical vision. In the olden times, it was used to enhance communication with the Greek and Egyptian deities to receive information and wisdom. 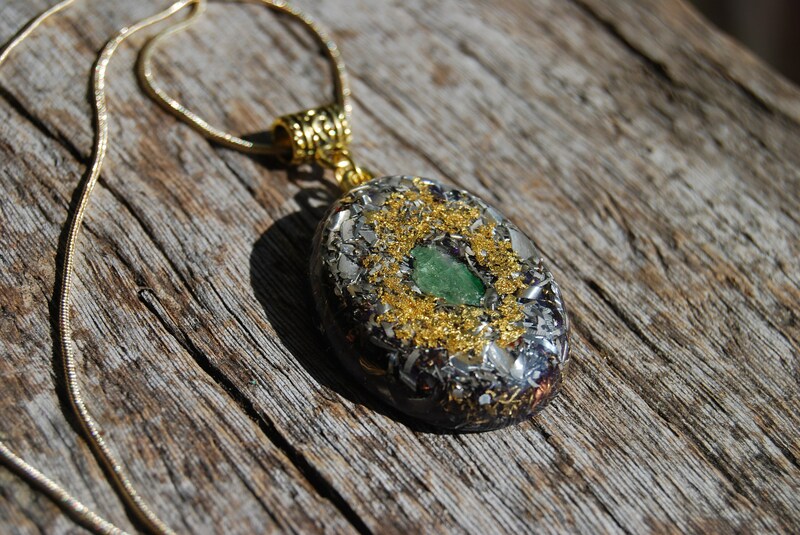 Tsavorite works well for people who want to enhance their psychic abilities and increase their telepathy. 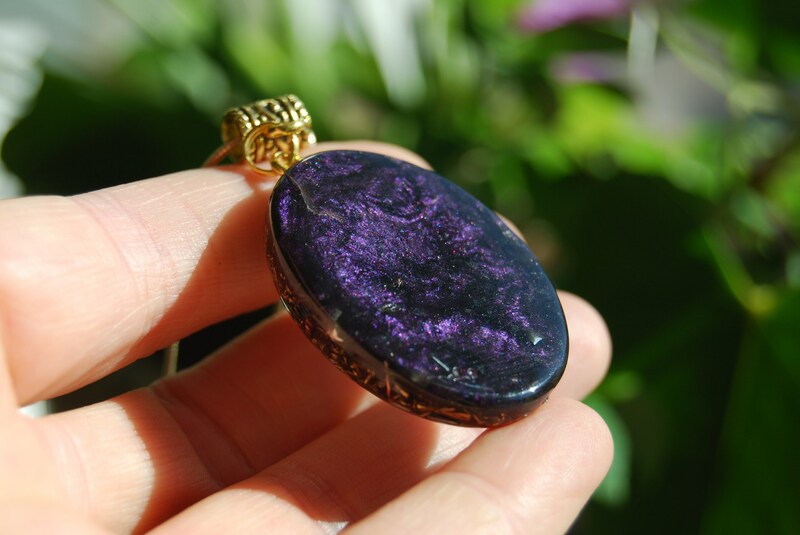 This stone helps in eliminating nightmares and provides courage to the wearer. It comes on an 50 cm / 19.7 inches 18K gold plated necklace with lobster clasp closing.